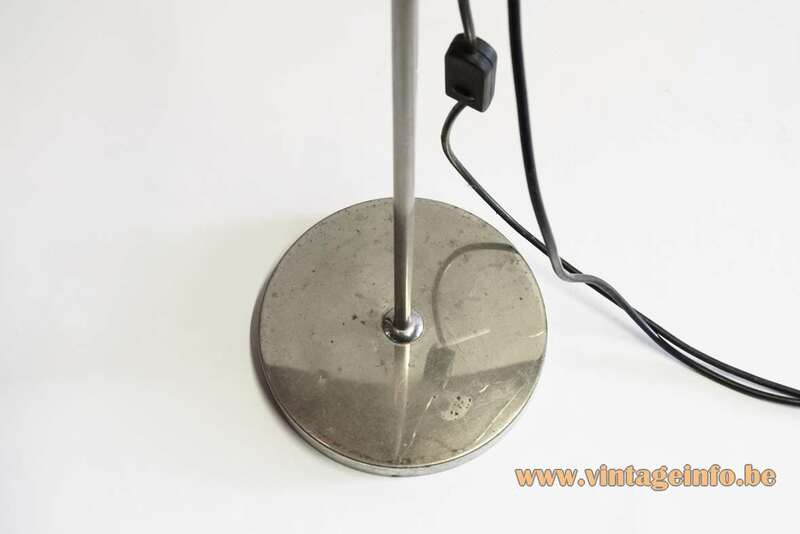 Materials: Nickel plated iron, cast-iron counterweight in base. 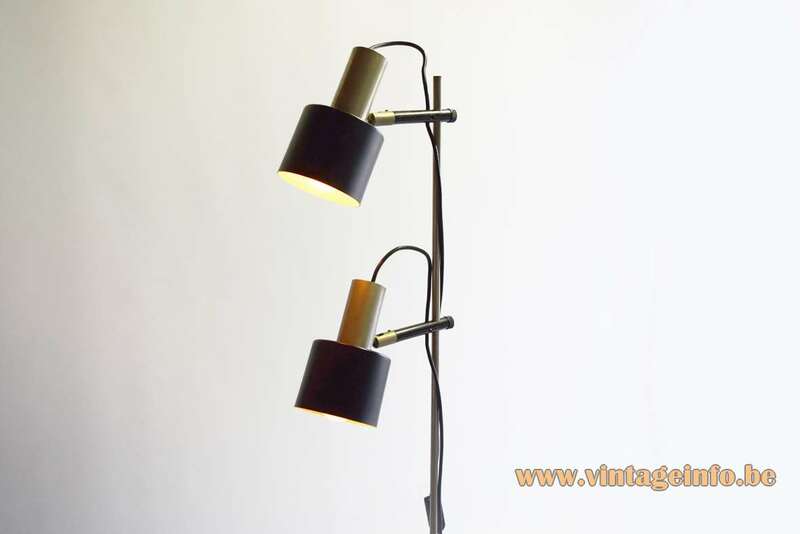 Black painted metal lampshades, white painted inside. Some plastic parts. 2 Metal sockets. 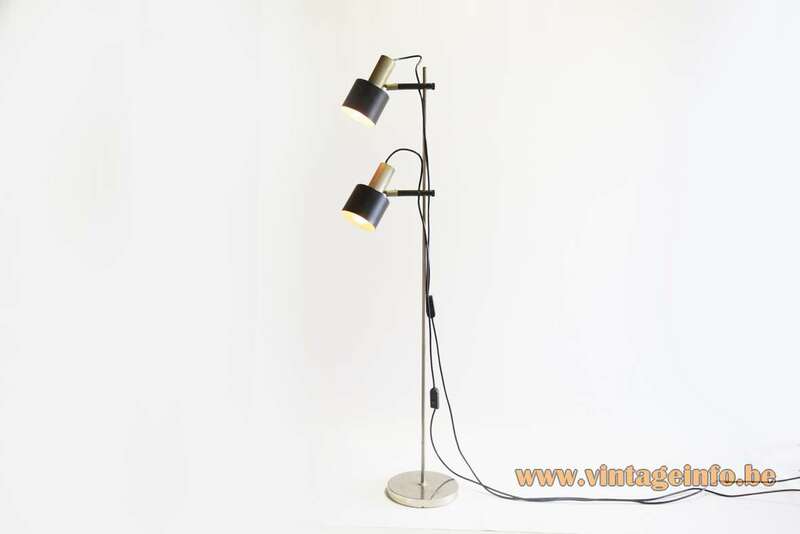 This floor lamp/reading lamp has many similarities with the Studio floor lamp designed By Jo Hammerborg and produced by Fog & Morup. 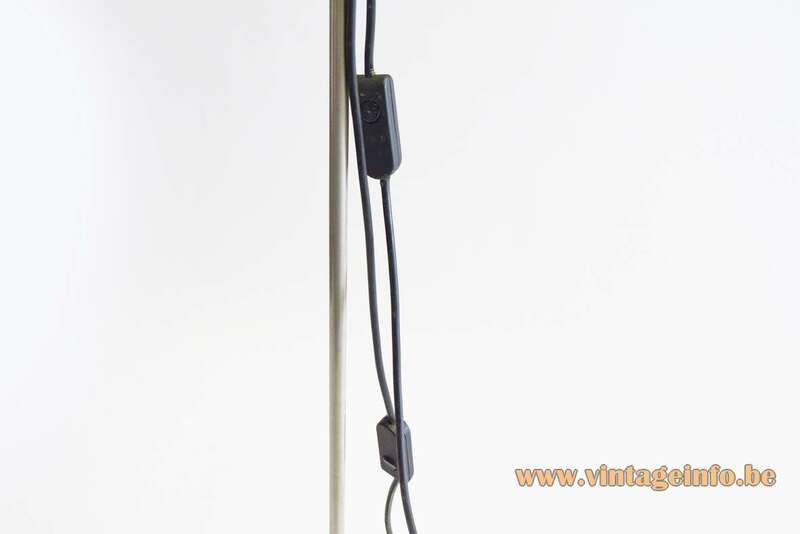 The switches of this floor lamp were replaced with 1990s switches, probably in the 90s. 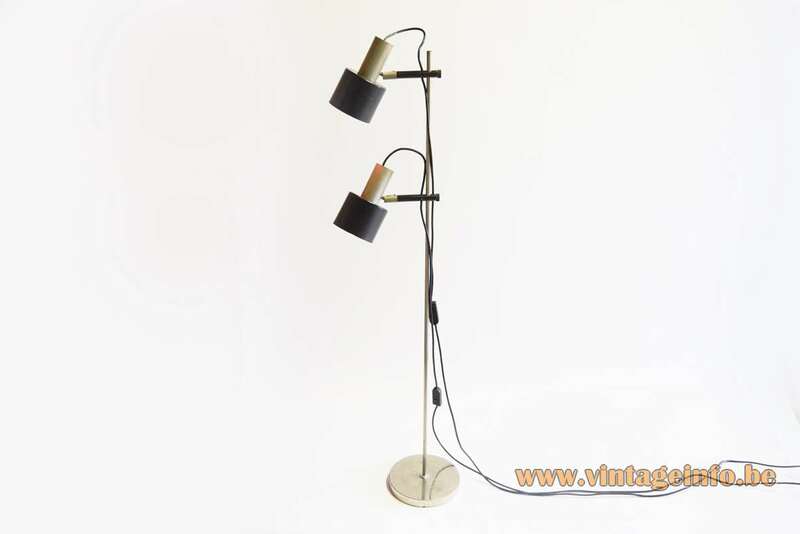 Many companies produced similar lamps. This one is probably made in The Netherlands or Germany. The most striking thing about this lamp is that it has two plugs. 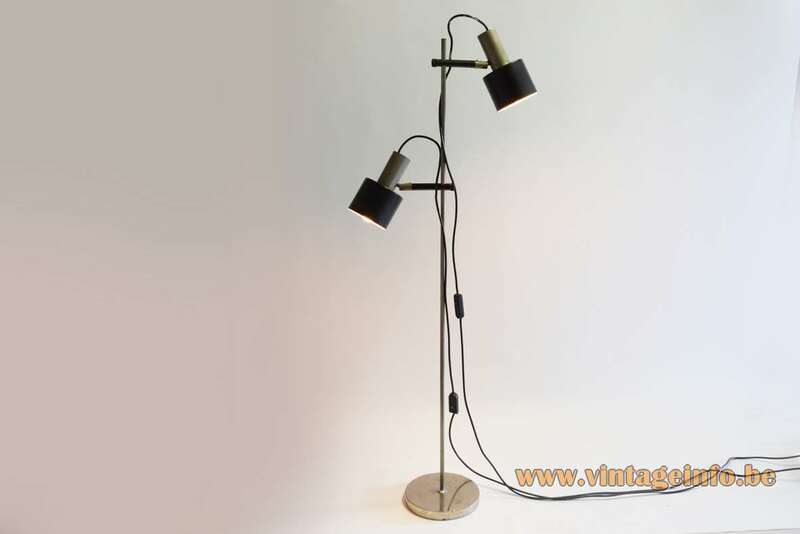 You find it often with lamps made by Gepo from The Netherlands, but this lamp is probably not by them. 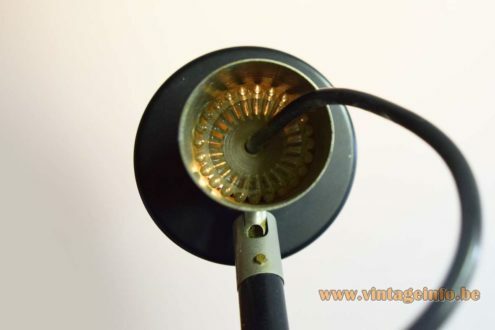 It also has a plastic crown at the top of each lamp, as you can see below.